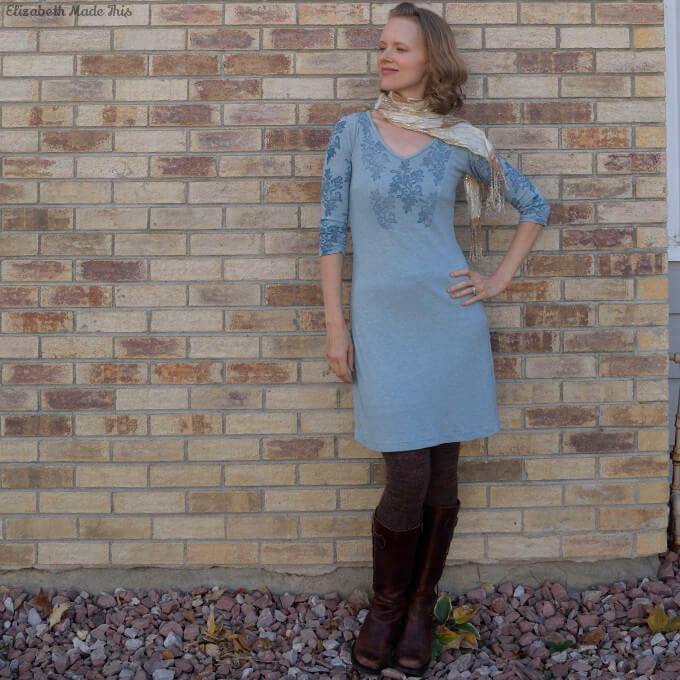 What is your favorite quick sew for your kids? All my boys love hats. My youngest frequently will come running out of nowhere with a knit beanie pulled over his eyes just when he senses that the mood of the room needs some excitement. That one has comedic timing down. 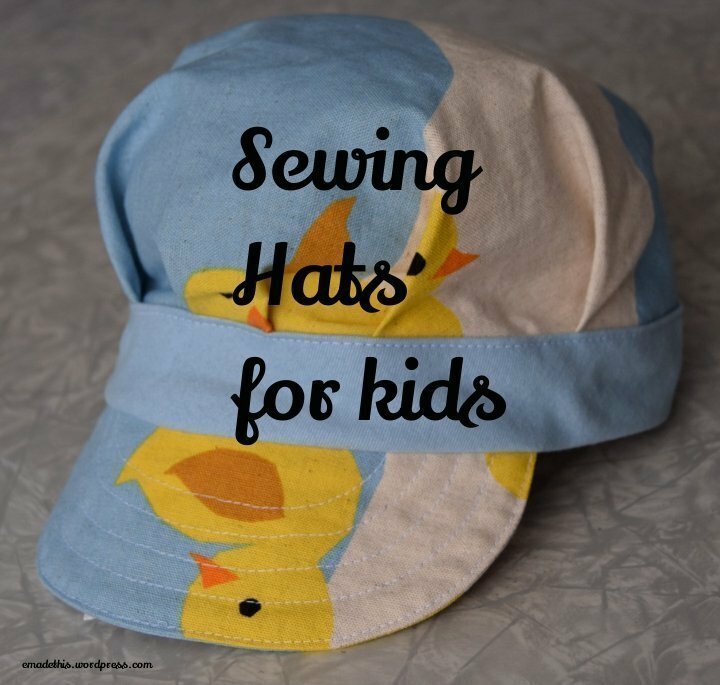 But truly, sewing hats for kids is a speedy affair. 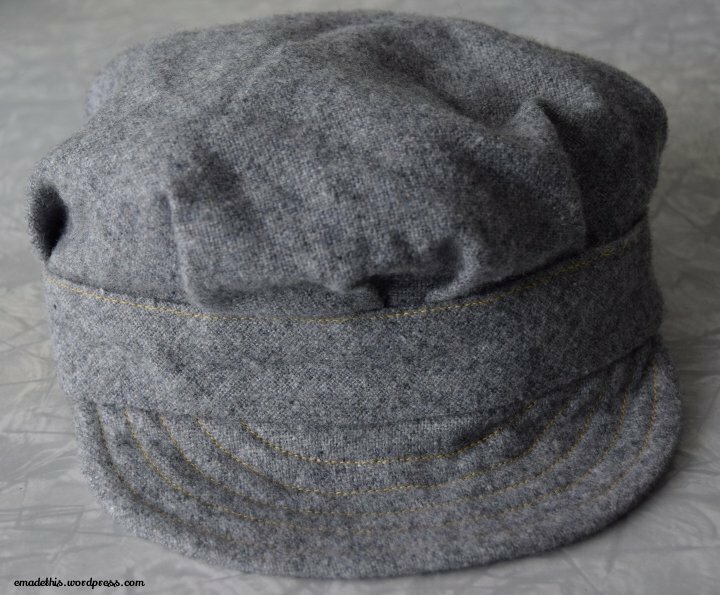 There are few working parts to hats and they and typically require very little yardage. 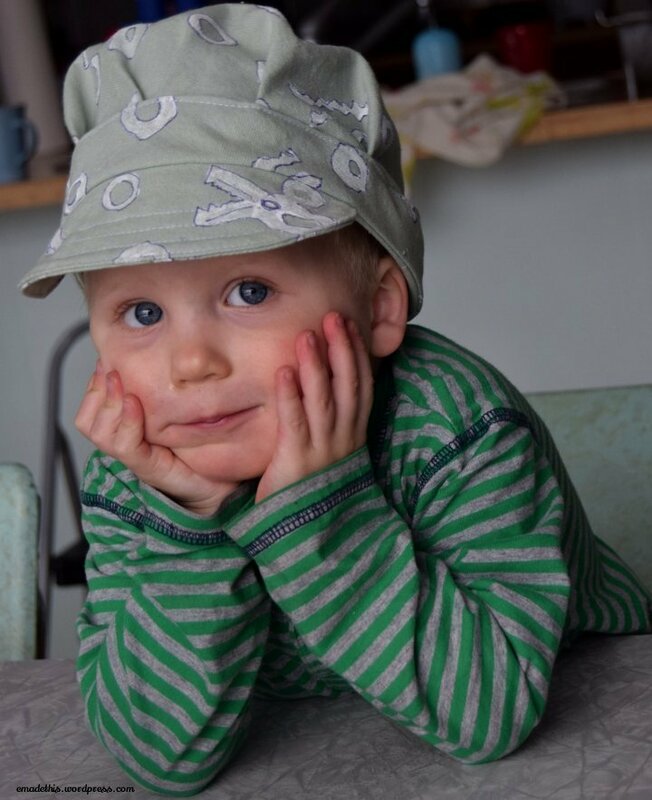 The hat pattern is the Eddie Cap from Sewn Hats by Carla Crim (The Scientific Seamstress). I thought the size ran a little small, but this was otherwise an easy, simple hat to make. Because size small was too small for me and barely fit my oldest, I didn’t make any size changes for my two younger boys. It’s easier and faster to not have to resize anyhow! I particularly liked how fusible web is added in the band–it makes a nice crisp band, that’s easy to press. In the grey hat, I used Heat and Bond in the band. I was pinning/repinning, basting/rebasting and ended up having to whipstitch around the inside of the hat because the topstitching on the band entirely missed the inner band. On the duck hat and the shears print hat, I ran a line of Steam a Seam along the edges of the inner and outer bands to hold the layers together while topstitching the crown inside of the inner/outer bands to finish the hat. This second method was WAY simpler and yielded a better inside of the hat. 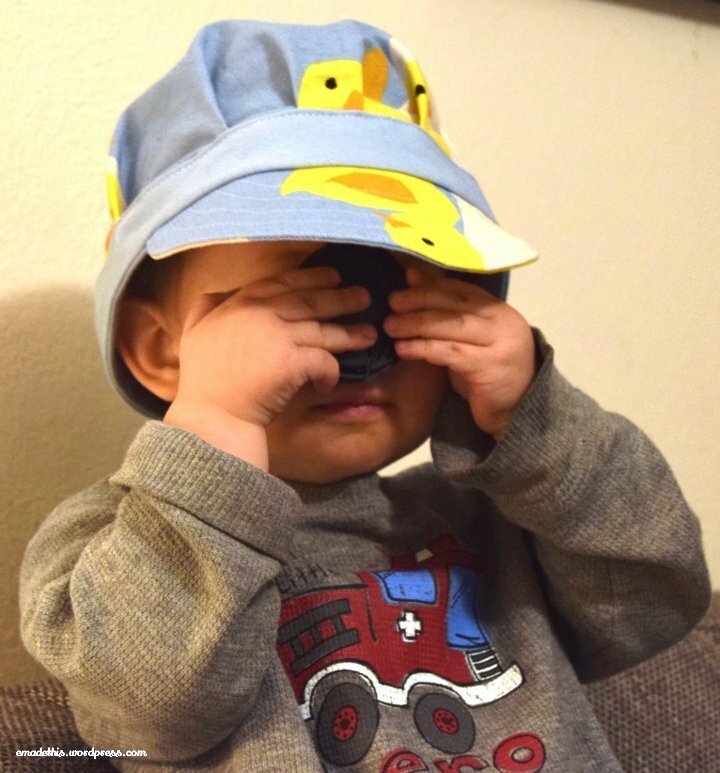 It’s a lens cap cyclops! 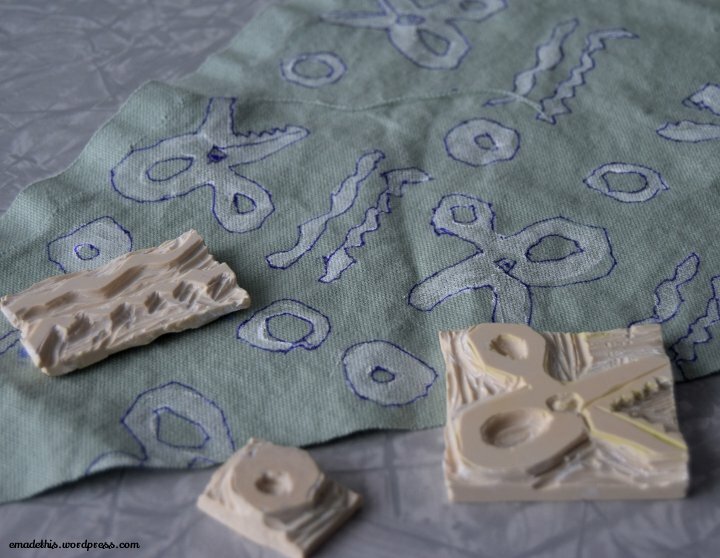 I printed the pinking shears fabric myself with the aid of some white fabric paint and a couple of stamps that I carved and one that my oldest carved. He outlined the fabric one morning before school with a navy fabric marker to give the shapes some more contrast. The crew is happy, and that’s always worth something at the end of the day. 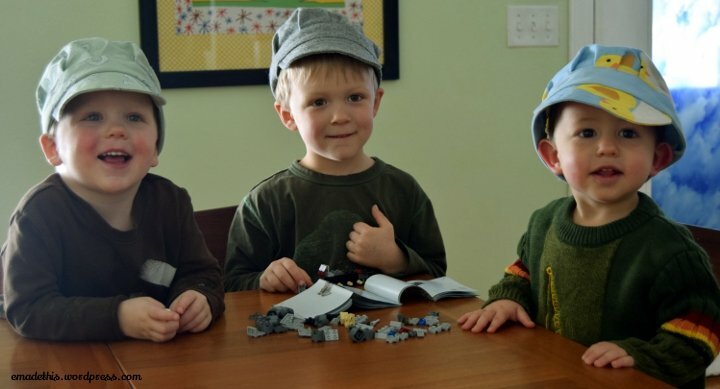 Cute hats… cuter boys! My son loves getting things made for him. I love the fabric you printed… can’t believe you printed it! The extra blue outline is genius. It added the right amount of contrast that was lacking between the light green and the white.